Kilo come to Soggy Bottom with his SH title along with 3 Master Hunter passes. Kilo is a very talented boy with the brains and that we are looking to add to our program. 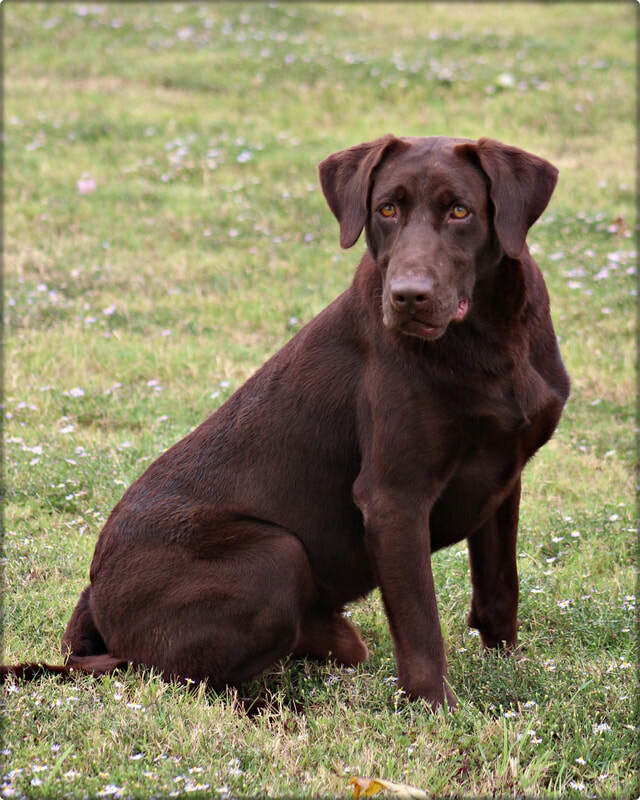 Kilo boasts a incredible pedigree sired by the newest FC Chocolate "Buddy". Buddy, Kilo's sire holds his FC, HRCH, MH and QAA, and QA2 titles, one of the very few FC chocolates ever. Kilo's mother holds the titles of MPR HRCH MH along with a Master National pass. Kilo is very intelligent, willing to please and stunning to boot. He has produced some very well rounded stunning puppies with the brains to do anything. Kilo is very driven in the field and has a nice off switch in the house. Look for our upcoming litters on our litter page for puppies sired by Kilo.